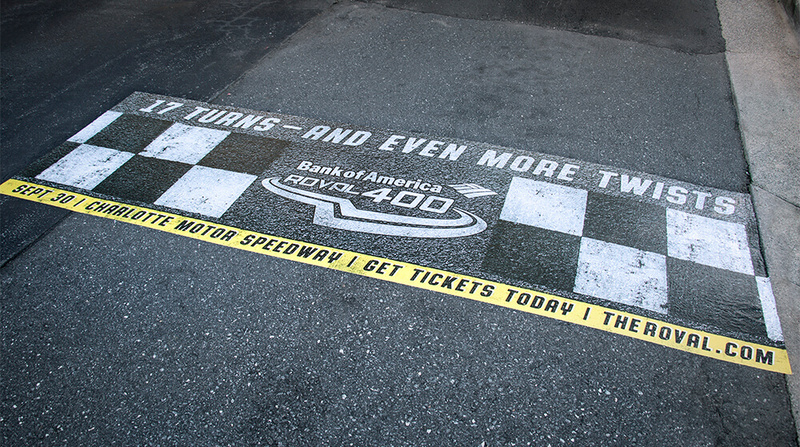 Combining straightaway speed with 17 turns, the Bank of America ROVAL™ 400 will turn a new page in NASCAR’s history when drivers line up on Sunday, Sept. 30, at Charlotte Motor Speedway. It is, after all, the first road course race in NASCAR’s playoffs. Yet, Bank of America customers have already experienced the start/finish lines. We helped Charlotte Motor Speedway highlight the naming rights partner for the race by leveraging the Bank of America branches throughout Charlotte. Over the last few weeks, customers got to feel what it would be like to pull up to the start of this historic race as they approach the drive thru. Fans, drivers and crews will be experiencing the race for the first time. No one knows exactly what to expect, except that the Bank of America ROVAL™ 400 will be action-packed and full of drama. Maybe drivers could take tips from bank customers who have already had some experience crossing the finish line.